HAMMER SPORT has been deeply rooted in making and selling sporting goods for generations - from its origin as the Heinrich Hammer company in 1900, to gaining fame under the "erbacher" brand in the 1950s all the way to its current incarnation as HAMMER SPORT AG, a cutting edge leader in the recreation industry. 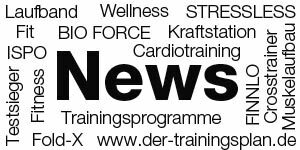 The company’s product range includes nearly 600 different articles available in over 50 countries: HAMMER and FINNLO fitness equipment, MIKASA balls, HAMMER BOXING products, HAMMER HYBRID electric bikes, HAMMER soccer tables and wellness articles from FinnSpa. The HAMMER SPORT brand is known for the high standard of quality in its products, which has driven the company's steady growth. By always employing new innovations, the family-owned company sets key standards. Its numerous patents are a proof for HAMMER SPORT AG’s achievement and capability. 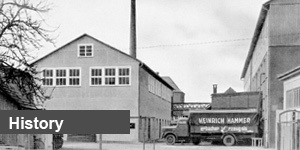 Product development, from design concept all the way to prototype, takes place at the company headquarters in Neu-Ulm. Branches coordinate the manufacturing and quality assurance of products. Before a HAMMER SPORT product enters the market it must first pass quality assessment tests performed by independent testing labs as well sport and fitness trainers to determine if it can stand up to the rigors of everyday use. Making sure the brand is synonymous with premium quality, long-lasting products and fun is just one of HAMMER SPORT's goals. 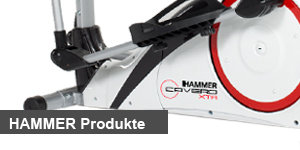 Visit our corporate website at www.hammer-sport.de to learn more about HAMMER SPORT AG. HAMMER has been a registered toy and sporting goods brand since 1908, making it Germany’s oldest fitness brand. HAMMER is successfully sold in over 50 countries with a product range that includes cardio and strength-training equipment as well as countless accessories. FINNLO is the flagship of the HAMMER SPORT AG family of brands. Since 2005 FINNLO has been successfully sold in over 50 countries and has established itself as a premium fitness brand with its numerous cardio equipment and multi-gyms. Launched in 2009, FINNLO MAXIMUM is the semi-professional serie of fitness equipment that is also the last word in home fitness training, offering cardio and strength-training equipment featuring first class workmanship and highly functional designs. HAMMER BOXING has been around since 1982, providing products for beginners as well as professional boxing equipment for competitive athletes. Its products include boxing gloves and punching bags as well as athletic tape and protective gear. Since 1982, HAMMER SPORT has been the exclusive German distributor of MIKASA, the world's leading volleyball manufacturer. MIKASA provides official game balls for the Olympics, world championship competitions, the World League as well as the smart beach tour - Germany's beach volleyball tour. Since 2009, HAMMER SPORT has teamed up with Men's Health, the world's leading men's lifestyle magazine, to bring you POWERTOOLS - a collection of innovative multi-gyms, abdominal trainers and exclusive barbell and dumbbell systems specifically tailored to active, sporty trendsetters. Experience well-being – the tagline of the FinnSpa brand describes and represents an exclusive range of infrared saunas, massaging chairs and accessories. Since 2010, this wellness brand has been a welcome addition to the successful FINNLO brand to provide perfect recovery after sports and fitness. Launched in 2010, HAMMER Hybrid is an intelligent range of electric bikes. All HAMMER HYBRID E-bikes are powered by high-quality Bosch electric motors. The term hybrid represents environmentally friendly mobility - a philosophy to which the brand is committed.